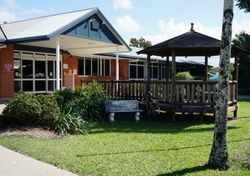 Gordonvale Memorial Hospital was originally erected in memory of those who died in service or were killed in action during World War One. 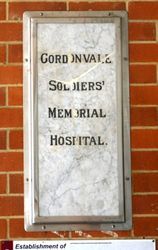 The plaque, inscribed with the words “Gordonvale Soldiers Memorial Hospital”, was on a gate post at the original 8 bed hospital which was built as a memorial to service personnel who died in World War One. The funds to build this hospital were raised from the Gordonvale community. The plaque was originally unveiled by Lord Stonehaven, Governor-General of Australia in 1926. 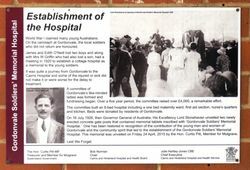 The original plaque was found in a filing cabinet and unveiled at the entrance to the hospital in April 2015.